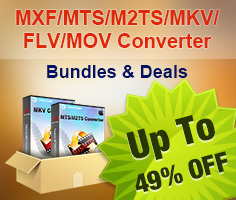 Home » How to Import and Edit Sony NEX-5R MTS Videos in iMovie 8/9/11 on Mac Mountain Lion? How to Import and Edit Sony NEX-5R MTS Videos in iMovie 8/9/11 on Mac Mountain Lion? To import AVCHD footage from a Sony NEX-5R camera correctly, iMovie requires the directory structure of the AVCHD footage must be the same as when it was recorded to the card. If you’ve copied your footage onto a hard drive or other storage media and only kept part of the file structure you’re going to be presented with an unsupported media error message. Also, AVCHD clips may not import if the folder structure written by the camera to the card is altered, so avoid manually moving files away from the locations to which the camera wrote them originally. Leave the folder structure on the card as the camera wrote it. 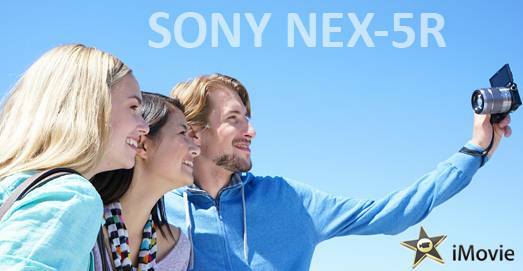 Plus, iMovie does not support footage recorded in 1080-60p from Sony Alpha NEX-5R camera. What to do if you only have some separate MTS clips without an AVCHD file structure, or your MTS clips were shot in 1080p50/60 mode? How can you import them into iMovie 8/9/11 for further editing? In our experience, you might consider transcoding these MTS clips from Sony Alpha NEX-5R camera into a codec that is best suited for iMovie editing, such as Apple InterMediate Codec (AIC). 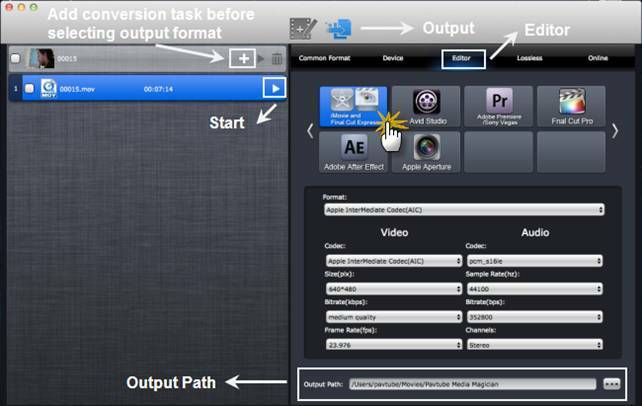 How to transcode MTS clips from Sony NEX-5R Camera to AIC for iMovie on Mountain Lion 10.8? 1. It will add Pavtube logo watermark in output file(s). 2. Lossless output has a file size limit of 5 minutes. If the free trial version does what you want, you can click Buy Now button below to purchase its full version to bypass the above mentioned free trial limitations. Connect your camera with your Mac computer and run Pavtube Media Magician for Mac. This Sony camcorder companion tool will detect your camera automatically and ask “Camcorder is connected. Are you ready to launch wizard now?” Click “Yes” to confirm. In the mean time, you are allowed to backup Sony MTS footage directly from camera to local computer. Also, you can click the camera icon to load camcorder videos as well. If you already have stored MTS clips shot by your Sony NEX-5R camera on your computer’s HDD, you can choose to “Import Media Files” or “Import Media Folder” to browse and load your source files from computer. After source MTS clips are imported into the Media Magician for Mac program, you need to drag and drop the clips that you want to encode to Apple InterMediateCodec (AIC) onto timeline. If you would like to cut off unwanted parts of your MTS clips, rearrange them in your wanted order, or merge them into one file, you can use the control buttons on timeline to do this. Choose “Output” in the main interface, and click “Plus” icon to add conversion task before selecting output format. Then switch to “Editor” > “iMovie and Final Cut Express” and click “Start” to begin encoding NEX-5R MTS to AIC MOV for iMovie 8/9/11. This Sony camera companion software will specify a default folder to save the converted videos. If you’d like to change the output location (output path), please click to navigate to the folder you’d like to save videos to. 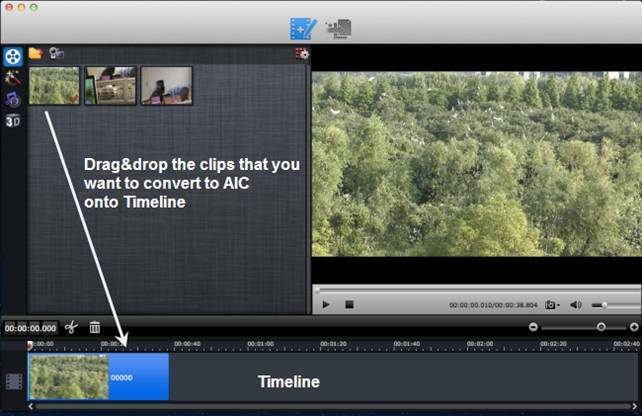 Launch iMovie, choose File > Import > Movies…, and browse to where you saved the generated AIC files to. Choose the videos that you’d like to add.